Hospital administration is a popular employment field because of the regular work and responsible nature of the position. With both private and public sector positions available, hospital administrators are responsible for the keeping of detailed information and records for both staff and patients. Some administrative roles also provide front line contact with the public and are therefore vital to giving the right impression of the hospital and of the health trust. If you are interested in hospital administration jobs in UK, you will want to know the types of positions that are available, the skills and qualifications that you will require and also the best method of finding the right job for you. 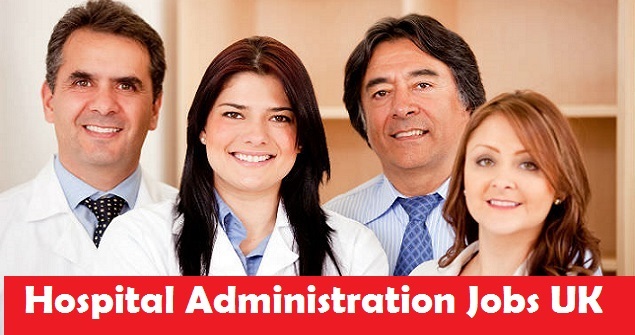 What Skills Are Required For Hospital Administrative Roles? The necessary skills depend on the position that you are applying for. If you are looking for a role that requires no previous experience in a similar job, an entry level position will be right for you. These types of jobs will get you started on the administrative career ladder allowing you to progress as you can further experience in the field. Other positions that are more specific, such as secretarial and typist roles, will require applicants to have qualifications in typing and other office skills. It is a great advantage when applying for a medical secretarial role to have already had some secretarial experience in a similar environment as you will be dealing with complex medical terminology that is quite subjected specific. For all roles, a good standard of education is the basic requirement, with at least 5 GCSEs including English and Math’s. Good English communication skills are very important, especially if you are applying for a customer contact position and if you have a qualification in information technology this too would be an advantage as a number of health service administrations systems are now computer based. On a personal level, good presentation as well as excellent time management, organizational and people skills are all essential skills for any administrative post. Even if you start at the bottom of the hospital administrative ladder, there are lots of opportunities in the UK for advancement. Hospitals are extremely large organizations, especially if you are working for the NHS and therefore there are always opportunities for promotion or to sidestep into different areas. You can progress to a team leader or supervisory position after gaining the necessary experience or even progress into administrative management. There is also the possibility of moving into the finance departments or perhaps into informatics if you have an interest and skill in those areas. If you are interested in working for an NHS hospital, there is an online portal for the NHS which allows candidates to search for jobs by employment type and area. By entering your postcode and the field in which you are interested, you can easily see which jobs are open to you and apply quickly and conveniently online. Alternatively, you can easily research the local hospitals in your area and visit their individual websites for lists of current vacancies. You may be able to apply for these roles online or you may need to complete a paper application form and submit it for consideration. Many hospital administration positions are also advertised in the local press, so if you buy the local newspaper for your area, it is likely that you will find suitable positions listed every week. There are also recruitment agencies that will place suitable candidates into roles within the NHS, especially in the case of medical secretaries. If you have experience and qualifications in this area, applying to one of the secretarial recruitment agencies in your district will give you access to a number of medical secretarial positions, both permanent and temporary, and this can be a useful way of gaining more experience in this area. If you are interested in working for a private hospital, you can research the availability of these organizations in your local area and visit their websites to see if there are any current vacancies available.